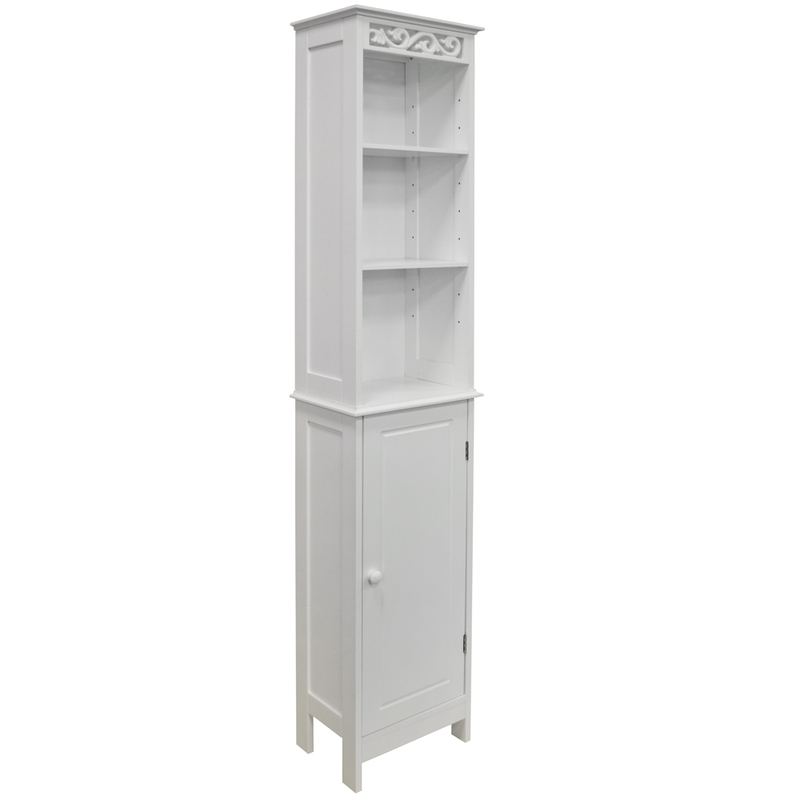 This fantastic tall storage unit is made from crisp white painted MDF with solid wood decorative French style scroll cut-out panel. 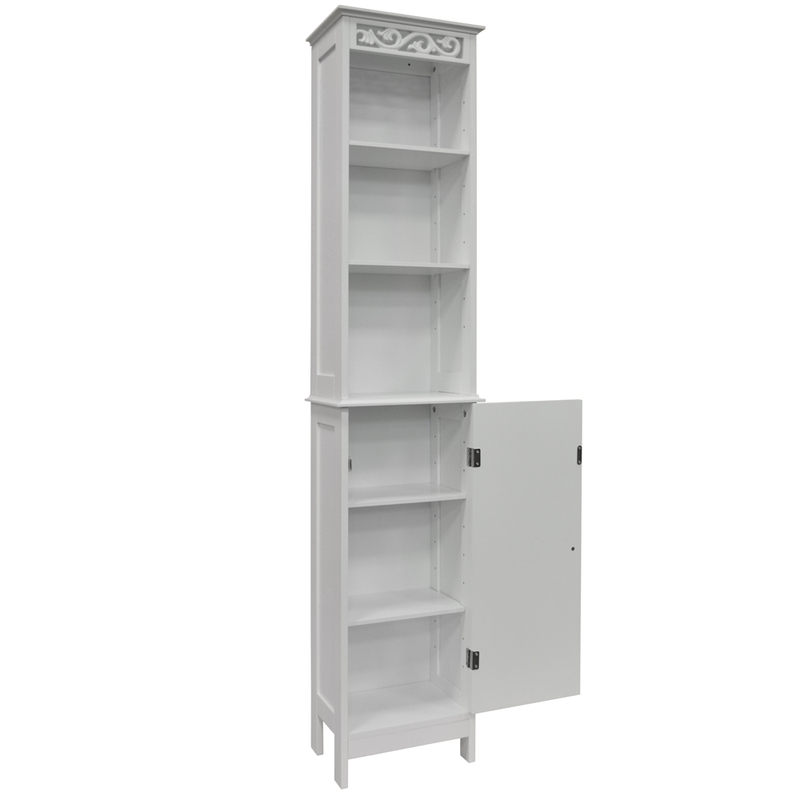 The top section has two adjustable open shelves and the cupboard contains a further two adjustable shelves. 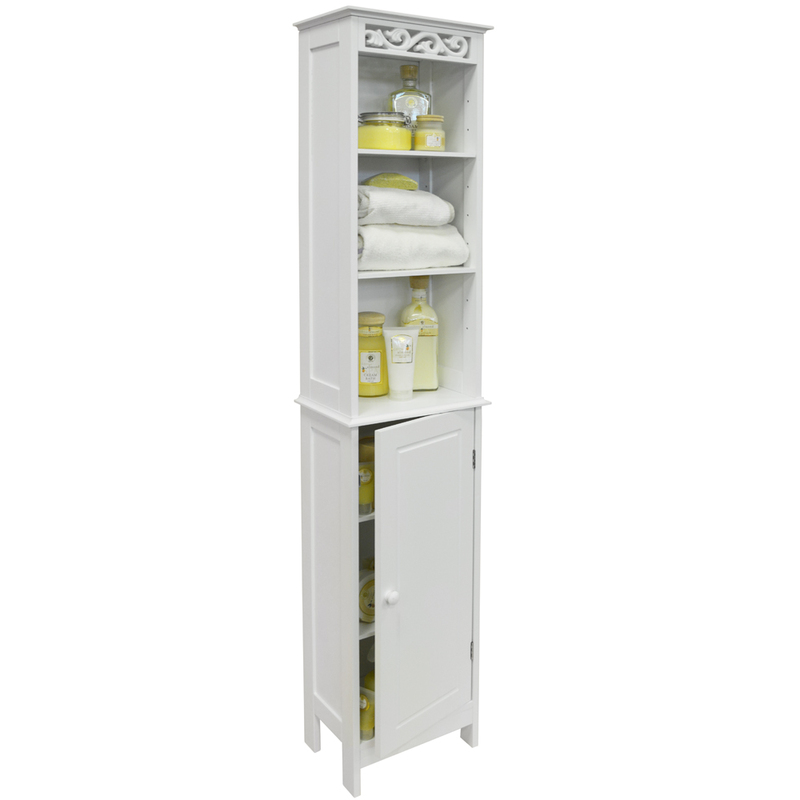 Ideal for storing toiletries, towels and spare loo rolls. 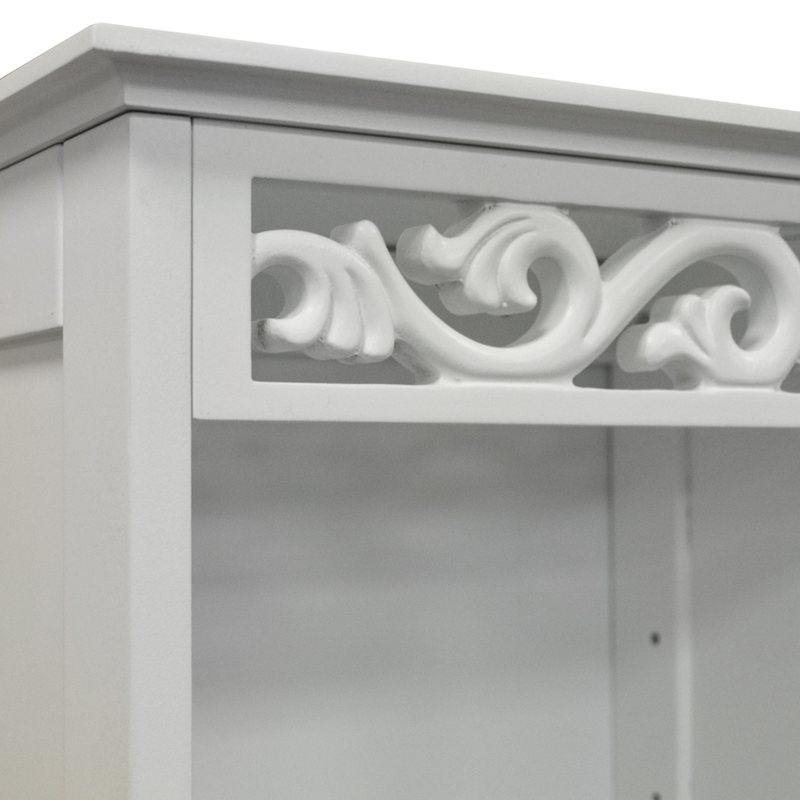 Top section: 79h x 28w x 21d cm with 9 possible shelf positions. 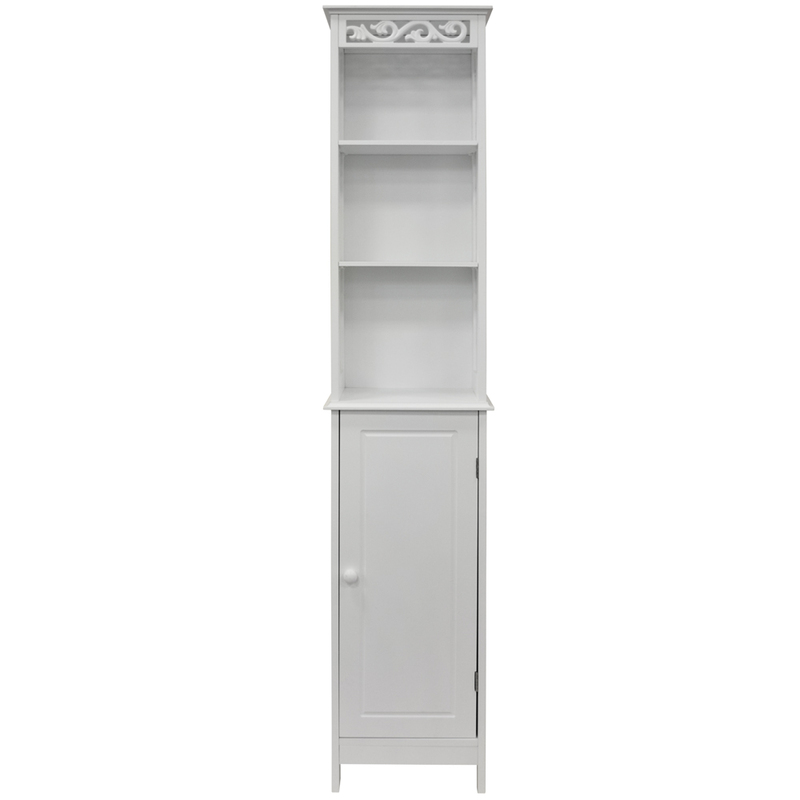 Base cupboard: 70h x 28w x 20d with 9 possible shelf positions.